Computers are making our lives easier. And as time progresses, these computers are becoming easier to use. It’s easy to see why more and more people of all ages and backgrounds rely on computers for a myriad of tasks. From business to pleasure, from finance to entertainment, from important communications to simply confirming you will go to a party with your friends; whether a smartphone or a tablet, a PC or laptop, you most likely are using a computer for quite a bit of applications. Because of this, most people find themselves completely flabbergasted when a computer fails. It could be the simplest of things that is causing a computer to malfunction, an easily fixable error that could not only save us some money by fixing without calling a repairman, but also peace of mind by knowing what exactly is wrong and how to fix it without panicking about permanently lost files. Some people have quite a bit of luck and never really run into some of the more obscure or complicated problems. However, not all people are this lucky and more than a few of us can probably recall a horror story involving a computer error so incredibly specific or obscure that it took a couple of days –in extreme cases, weeks– of research in order to fix. In this article we will go over one of the most common errors you can encounter when it comes to one of the aspects of a computer that pretty much requires constant attention: drivers. More specifically, we will be talking about the “Exception Access Violation” error: how to spot it, fix it and prevent it from happening. An EAV occurs any time an area of memory is accessed that the program doesn’t have access to. That’s it. Simple, isn’t it? Well, not quite. The actual culprit can be anything from bad code written for an app, faulty RAM modules or bad device drivers. Of course, each of these crashes do generate an error report, which is meant to provide the cause of the problem to whoever reads it, and thus, allow them to know the solution to it. The only problem with that is that one of these error reports look like this: “Unhandled exception at 0x00032b15 in Application.exe: 0xC0000005: Access violation reading location 0x00000000”. Unless you have experience with programming, you’re probably not going to recognise the hexadecimal in there. What, then, can you do to fix your computer? Check your RAM. Make sure that it is properly seated in the slot in the motherboard. This does require you to open up your PC, and needless to say, this is going to be a lot harder if you’re using a laptop. If you have any doubts, look for instruction manuals on your PC manufacturer’s site, or for general PC disassembling instructions elsewhere. After having physically checked if everything is properly seated, run a diagnostics software to test your RAM, such as Windows Memory Diagnostic or Memtest86. If you have pinpointed the problem to a particular program, uninstall said program completely. By completely we mean uninstall it, get rid of any residual files or data related to it, perhaps even remove to registry keys. Once all of that is off your PC, re-install the program and see if the problem persists (it really shouldn’t unless the program’s code itself is faulty beyond repair). o Replace the current faulty drivers with the latest version. If this fails to actually help, perhaps a downgrade is needed. This is a bit more complicated, since it requires you to look for older drivers. In this case, google is the only way to be positive you are going to find these old drivers. But remember: be very, very careful about what you download. Automatic Driver Installation. Driver Assist is an extremely intuitive program, that installs all requisites drivers for your PC automatically. You have no need to do anything else with Driver Assist other than install it onto your PC; the sophisticated software does all the work for you. Driver Intelligence. Driver Assist is an intelligent program which carefully establishes what the appropriate drivers for your computer programs are. This enables accurate installation and ensures that your PC runs to its optimum level. Smart Device Identification. The Driver Assist software is based on sophisticated technology that automatically detects all of the appropriate PC drivers in a matter of seconds. It will then match them with the latest available version, and update every driver required by your system with a compatible version on a regular basis. Safe USB Management and Eject. Driver Assist also helps you manage USB devices. There is no need to worry about safely removing hardware with Driver Assist, as it makes the ejecting process and safely removing hardware from your PC extremely straightforward. Full Back-up and Restore. Additionally, Driver Assist helps you backup all of your data and restore your machine to the time when it was previously working if you encounter any problems. It really is an ideal package to ensure that your PC runs to its fullest potential. 24/7 Customer Service. Driver Assist is a product of Safebytes, and therefore benefits from the renowned customer service associated with the company. 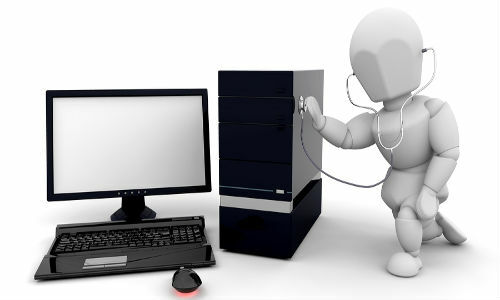 Safebytes is on call 24/7 to assist you with any problems that you might encounter.